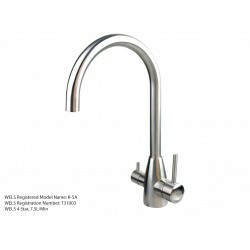 Three Way All in One Mixer Taps eliminate the need for an extra tap to be installed on your kitchen bench or sink. 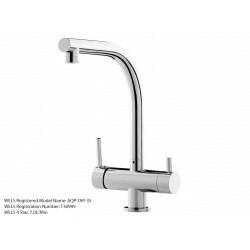 These three way mixers can replace an existing mixer and are similar make and specifications to big end brands like Hans Grohe, Franke, Dorf, Methven, Ram, caroma and Blanco without the huge price tag. 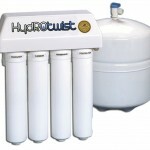 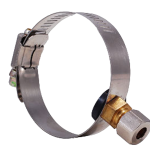 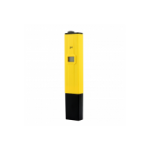 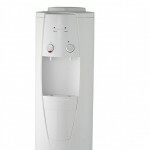 They feature Hot & Cold Mains Water on one side and filtered water on the other side. 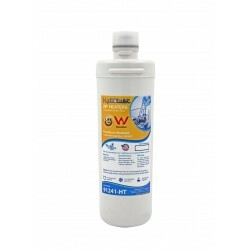 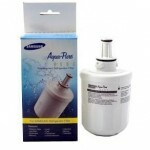 Three way mixers can be used with most under sink water filter and purification systems. 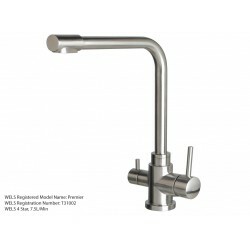 Cucina Short Designer 3 Way All in one Tri Flow Kitchen Mixer Tap/Faucet made completely from pure 304 stainless steel with a brushed satin finish this mixer tap is sure to be a show stopper in any kitchen with Hot, Cold mixer on one side and a smaller handled Pure water lever on the other side this..
Cucina Tall Designer 3 Way Tri Flow Kitchen Mixer Tap/Faucet made completely from pure 304 stainless steel with a brushed satin finish this mixer tap is sure to be a show stopper in any kitchen with Hot, Cold mixer on one side and a smaller handled Pure water lever on the other side this 3 way mixer..
Petite Round Designer 3 Way Tri Flow All in one Kitchen Mixer Tap/Faucet made completely from pure 304 stainless steel with a brushed satin finish this mixer tap is sure to be a show stopper in any kitchen with Hot, Cold mixer on one side and a smaller handled Pure water lever on the other side this..
Petite Square Designer 3 Way Tri Flow Kitchen Mixer Tap/Faucet made completely from pure 304 stainless steel with a brushed satin finish this mixer tap is sure to be a show stopper in any kitchen with Hot, Cold mixer on one side and a smaller handled Pure water lever on the other side this 3 way mix..
Culino Designer 3 Three Way All in one Tri Flow Kitchen Mixer Tap/Faucet made from brass with a brushed finish this mixer tap is sure to be a show stopper in any kitchen. 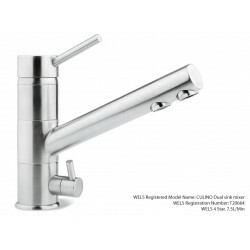 Featuring Hot, Cold mixer on one side and a smaller handled Pure water lever on the other side this 3 way mixer tap will elim..
Culino Designer 3 Three Way All in one Tri Flow Kitchen Mixer Tap/Faucet made from brass with a chrome plated finish this mixer tap is sure to be a show stopper in any kitchen. 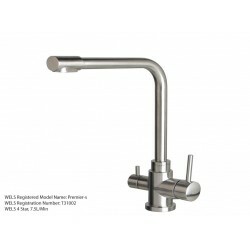 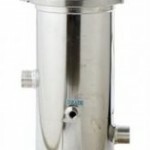 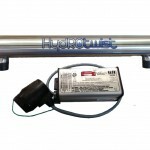 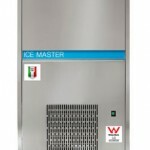 Featuring Hot, Cold mixer on one side and a smaller handled Pure water lever on the other side this 3 way mixer tap wil.. 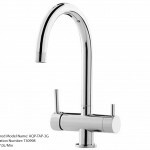 Designer Flick 3 Way Tri Flow Flick Kitchen Mixer Tap Faucet made from solid brass and then chrome plated with Hot, Cold and Pure Filtered Water all in one. 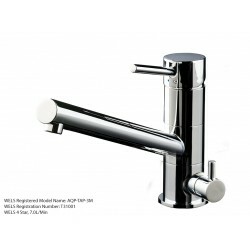 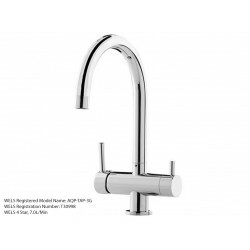 This 3 way mixer tap will eliminate the need for a seperate water filter tap/faucet Chrome Plated Polished Finish Perfect attachme..
Aquaport All in one 3 way kitchen mixer tap - Hot, Cold and Filtered all in one tap. 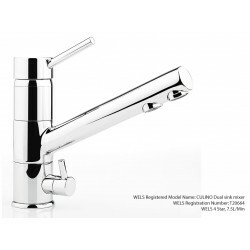 Australian Watermarked and WELS rated. 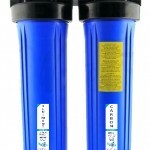 Removes the biggest barrier to DIY installation, no new hole is required when installing a water filter or purification system. 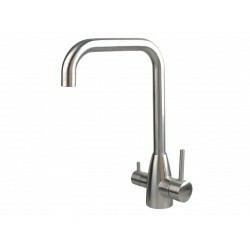 Hot & Cold mains water from one lev..
Aquaport All in one 3 way round spout kitchen mixer tap - Hot, Cold and Filtered all in one tap. 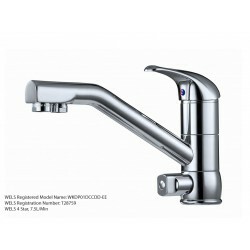 Australian Watermarked and WELS rated. 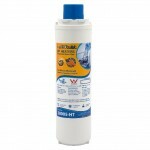 Removes the biggest barrier to DIY installation, no new hole is required when installing a water filter or purification system. 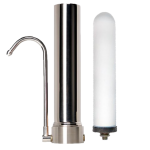 Hot & Cold mains water ..
All in one 3 three way kitchen all in one short spout mixer tap - Hot, Cold and Filtered all in one tap. 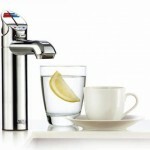 This three way mixer offers, Hot & Cold Mains Water and Ambient Filtered water from the one tap. 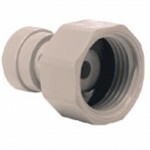 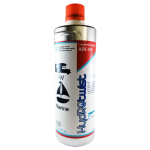 - Removes the biggest barrier to DIY installation, no new hole required. 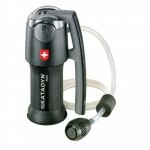 - Reduces Sin..